The third of the three chart sections deals with activities linked to opportunities in Method. This information is displayed based on the user and date filters you set on the screen (see Using the chart screen for details). There are three charts in this section, each of which are detailed below. The users who have overdue activities in the date range. If a user has no overdue activities in the date range, that user is omitted from the chart. 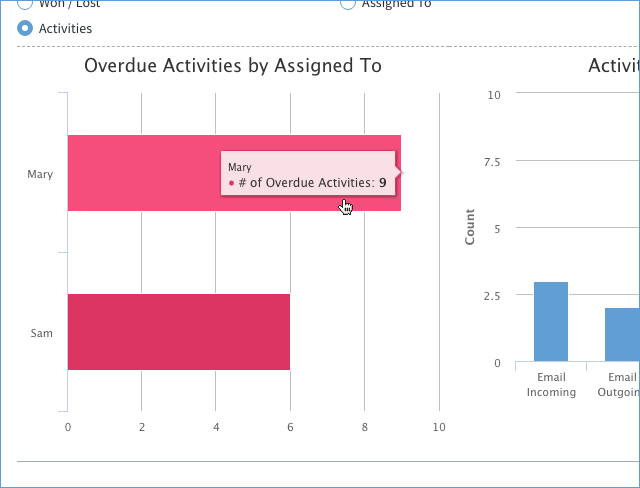 Hovering over each section of the chart displays the exact number of overdue activities. In th above example, Mary has nine overdue activities assigned to her, and Sam has six. Ideally, at the end of the day, all activities should be completed, and you should see no overdue activities in this chart. All completed activities by type within a date range. If no activities of a given type were completed in the date range, that type is omitted from the chart. Hovering over each bar displays the exact number of completed activities. In this example, there have been two completed email outgoing activities. 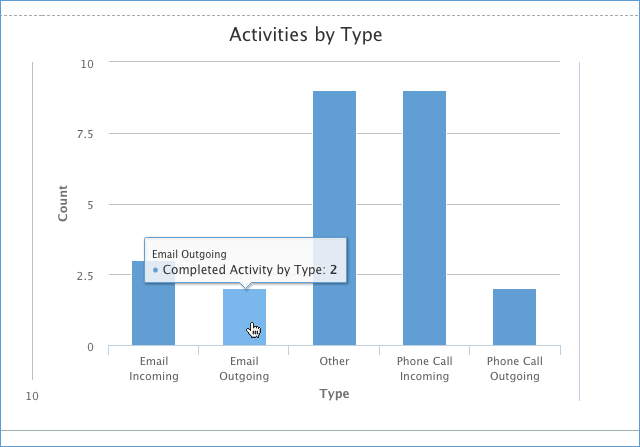 This shows all two completed email outgoing activities including the contact, the assigned Method user, and any pertinent comments (not shown in above image). 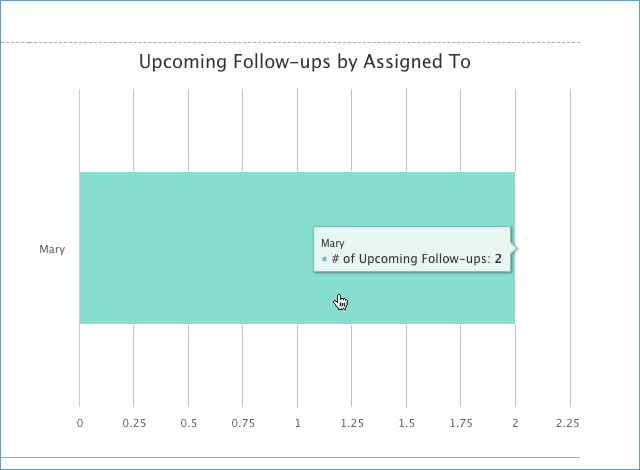 The user(s) assigned follow-ups in the given date rangeIf a user is not assigned a follow-up in the date range, that user is omitted from the chart. Hovering over each bar displays the exact number of upcoming follow-ups. 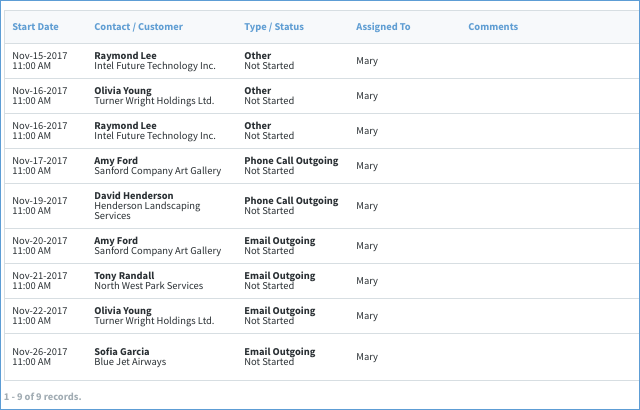 In this example, Mary has two upcoming follow-ups assigned to her. This shows all two upcoming follow-ups, including the contact, the activity type and any pertinent comments (not shown in above image).